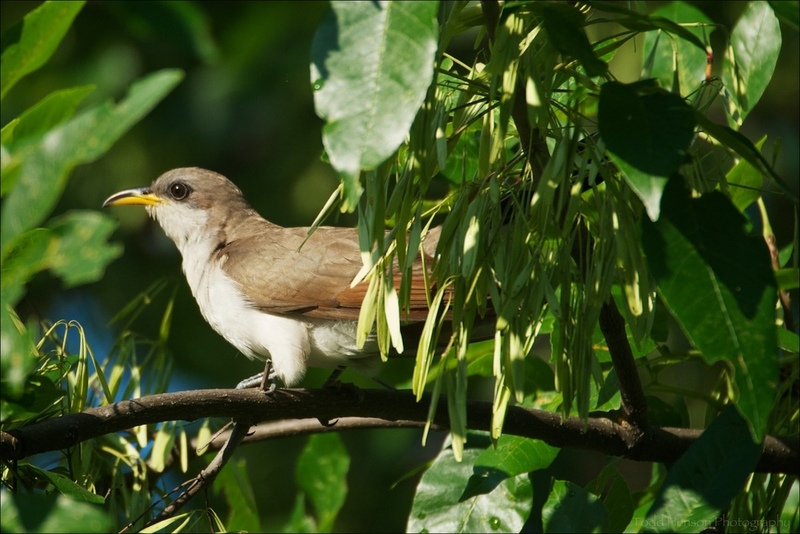 Yellow-billed Cuckoo are a reasonably large bird, around 12 inches head to tail, with the tail almost half that length. They have a light brown back and a white chest. The most distinguishing features of the Yellow-billed Cuckoo are the curved bill, the bottom half of which is yellow, and the long tail, which is black with several large white patches. 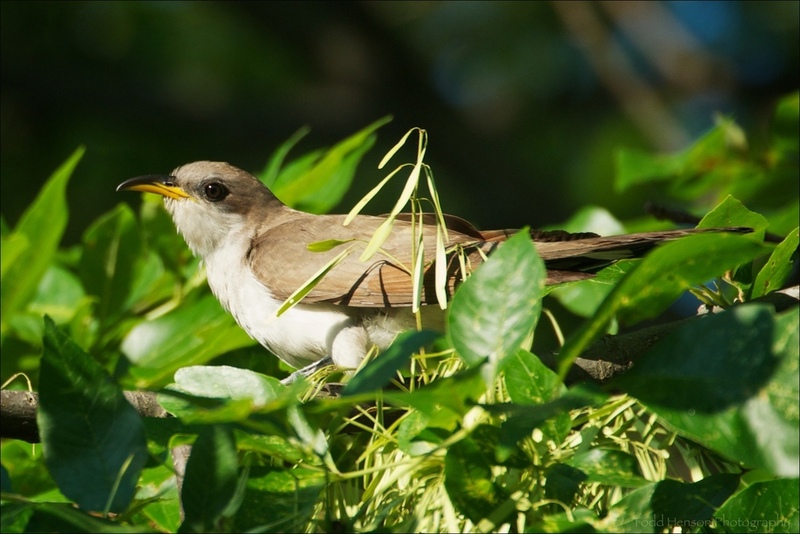 I photographed the Yellow-billed Cuckoo in these photos in late June. I was hiking with a couple of friends when something large flew overhead into a tree just in front of us. We all aimed our cameras into the tree and captured what images we could. I had at first misidentified it as a thrush of some kind, but the tail was too long and the bill was curved. 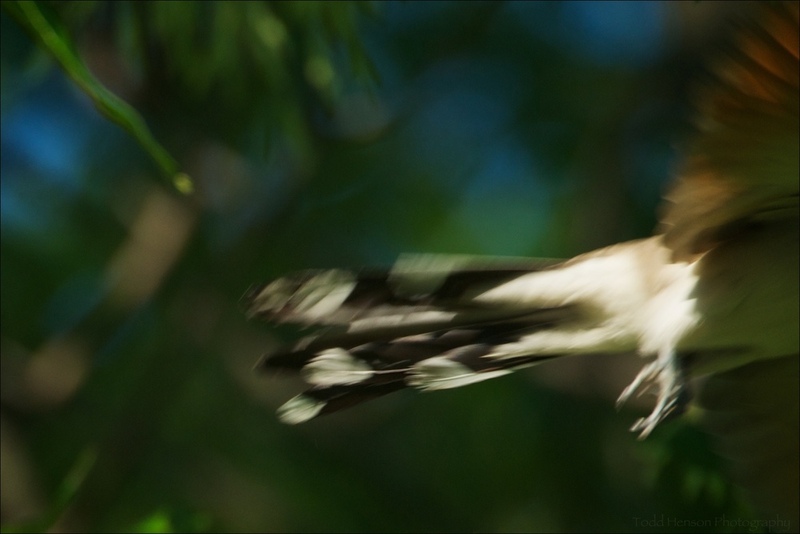 Yellow-billed Cuckoo flying away. Out of focus and I missed the majority of the bird, but notice the pattern of the tail feathers.